On Arrival pick up from Railway Station/ Airport. 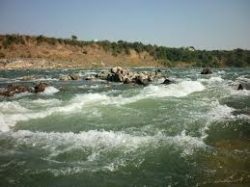 Transfer to Omkareshwar check in to hotel, visit Omkareshwar Jyotirlinga temple, Over night stay at hotel. Morning after breakfast proceed for Maheshwar road surface approx 270 Kms / 6Hrs 30 Min. On arrival check in at hotel. After fresh up Visit local ghats and temples in Maheshwar. Evening return to Hotel. Over night stay at hotel in Maheshwar. Morning after breakfast leave for Ujjain road surface approx 160 Kms /4 Hrs On arrival check in to hotel. Visit mahakal temple, & visit local temples, Over night stay at hotel in Ujjain. After breakfast road surface approx 200 Km / 04 hrs. After proceed for On arrival check in to hotel local sightseeing of bhopal. over night stay at hotel in Bhopal. Morning after breakfast Drive to Amarkantak approx 250 Kms / 07 hrs On arrival check in at hotel. Evening visit narmada river prayer to river. Over night stay at hotel in Amarkantak. Morning after Narmada puja leave for Indore road surface approx 80 Kms it would be take 03 Hrs. On arrival transfer to Airport/Railway station according to your flight or train time. Journey concludes with happy memories. GST on Total Tour Cost. Palash residency Bhopal is not available on this date. Mark Hotel is not in Hoshangabad, it is in Bhopal. Extra Cost of Dinner 4,200/- Per Person For 10 nights .